When I ask people if they want me to bring artichoke dip to parties they always assume its spinach and artichoke dip. The kind we used to serve in carved out bread bowls that is served cold. But mine is different. Technically not mine. My mom’s. And not hers either. The recipe belonged to her BFF’s sister who was a caterer. We have stolen (with permission) many a good recipe from her as the years have gone by. We have it at pretty much every family gathering along with her cheeseball…which recipe comes from the same woman. 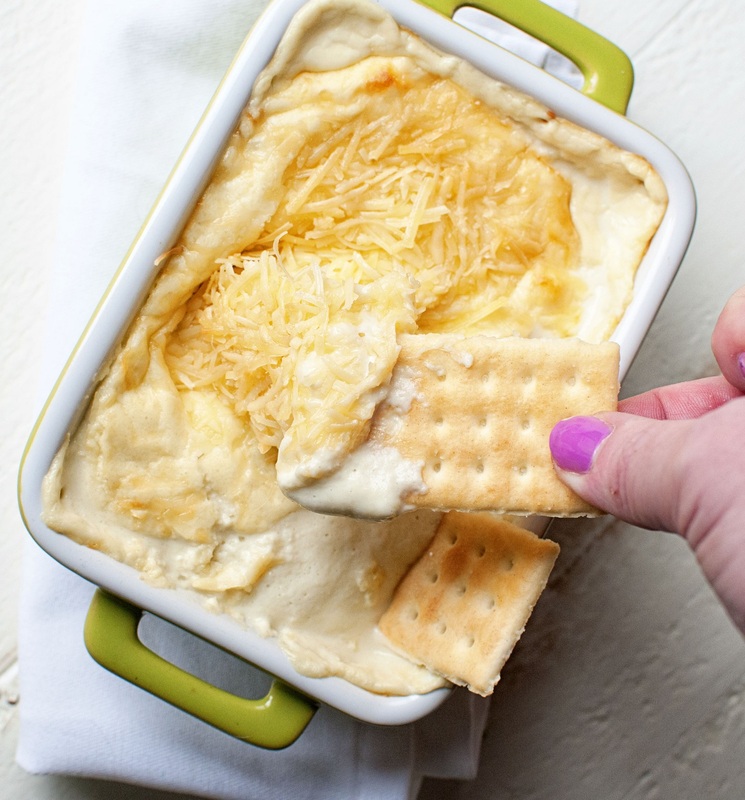 This dip can be served hot or cold but warning if you do serve it cold…I like to bake it first and then let it cool down and put in fridge. Why? One word: garlic. If you don’t bake it the raw garlic really stands out. Good news, you would be vampire free…possibly for life if you didn’t bake it. It’s pretty versatile too. Sometimes I add chopped up artichoke hearts to give it more texture. When I serve it cold I tend to chop up water chestnuts and add it for crunch. It’s great to use leftovers baked on top of chicken. It’s just good. Using a food processor (you can use a blender but will have to do it in half batches) blend all the ingredients until smooth. 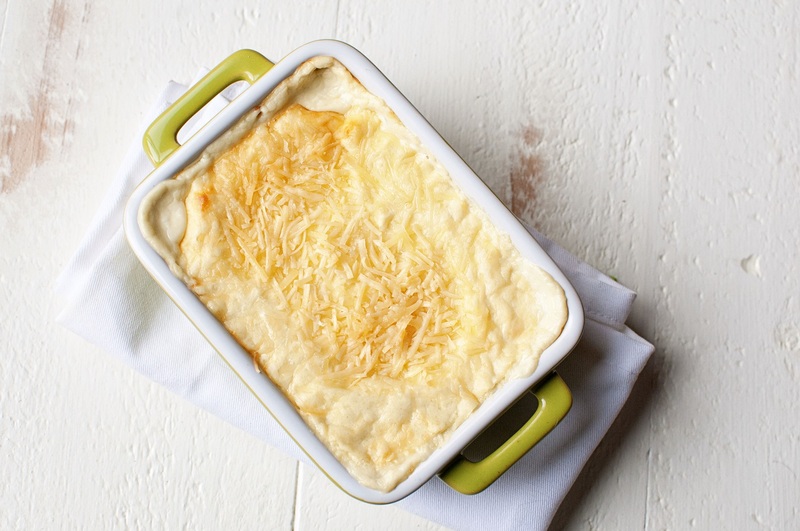 Poor into a shallow baking dish and add more Parmesan cheese. 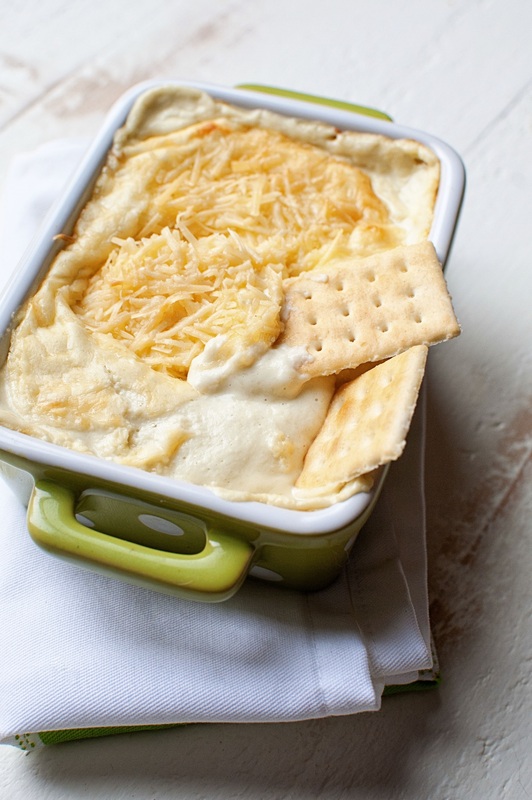 Place under a broiler until cheese has melted and is brown and bubbly. This can actually be used hot or cold but I prefer warm. You comment on the garlic actually makes me want to try this cold-unbaked, even though I’m normally a hot dip person. I love raw garlic! I gave this recipe a whirl, and it turned out very well. However, I could have used a couple of clarifications. One, you mention baking it, but don’t give directions for that–I assume you didn’t mean the browning under the broiler. Also the artichoke hearts: if you say “can,” they’re in brine, not oil, right? I went ahead and drained and reserved the artichoke liquid, but felt it wasn’t needed in the recipe, so didn’t use it. The consistency after baking at 375 F (until browned on top) seemed fine without the brine. It was lovely and fragrant after baking. I look forward to having some tomorrow at a potluck! Thank you for posting this recipe. I don’t bake it. I place it under the broiler and it heats up and bubbles up that way. And yes, no water in the artichokes, drained.